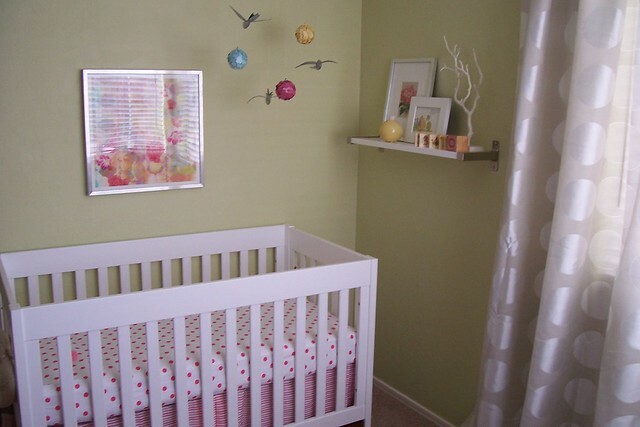 I finally took some pictures of Ivy's nursery! I had so much fun putting this room together for my baby girl. I really love the rug! It adds so much to the room, from Rugs USA. 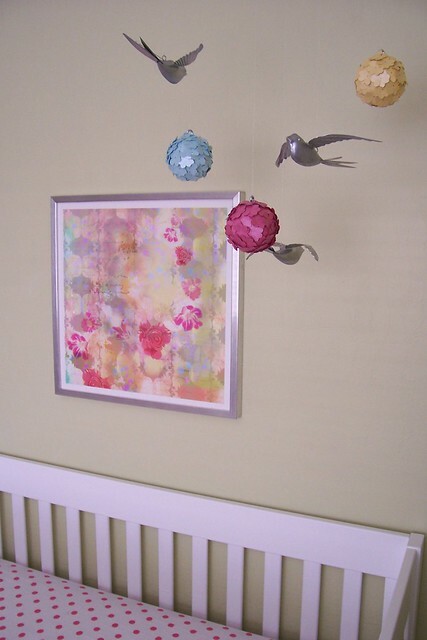 I go the idea for the flower balls in the mobile on Pinterest - here. The metal birds I already had. They are from Alice Lane in Orem, Utah. Two things on the shelf are from my own childhood. I framed a page from one of my favorite children's books, The Fat Cat. And the alphabet box used to be in my nursery as a baby. Very sweet! 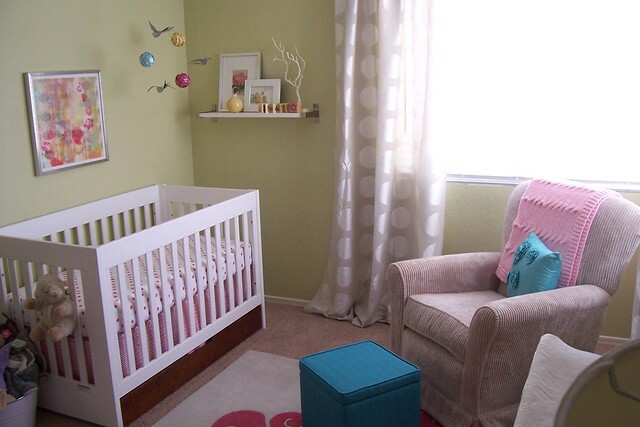 What a beautiful and inviting room... Ivy will love it. I love that room, especially the colors. You did a perfect job. i'm amazed you got that crib at walmart! i would have never guessed. 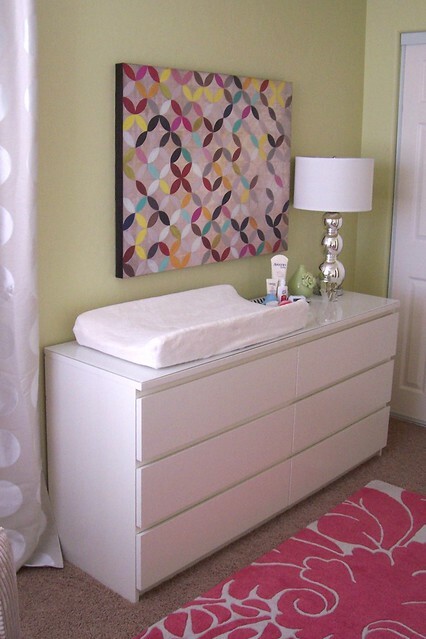 Do you know the name of the art above the crib? I've looked everywhere for it!! Thanks! It's so pretty - enjoy it! I love spending time in my daughter's room. And we have the same crib and are very happy with it. May I ask what paint color you used? Yes, love that green, what is the name of paint pleas? nice and useful! i would like to say thank you about this cool post & your Decent a site…. Awww!! What a cute lil nursery!! I love the birds on the mobile and all the color!! Just wanted to say I enjoy your blog. 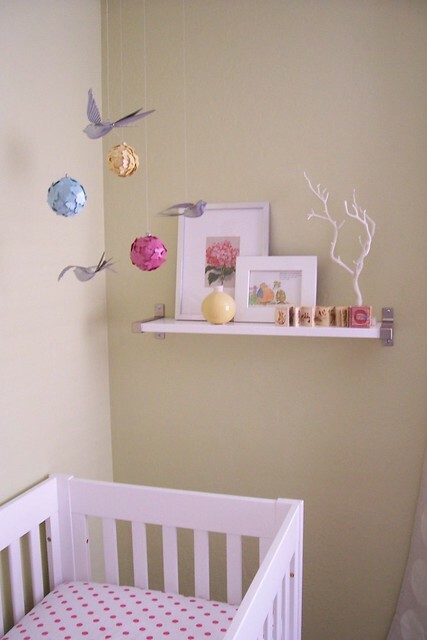 Some fantastic, practical, inspiring yet affordable tips on decorating, and the nursery looks great! Thanks for the tips - the pages from the children's books are an excellent touch. 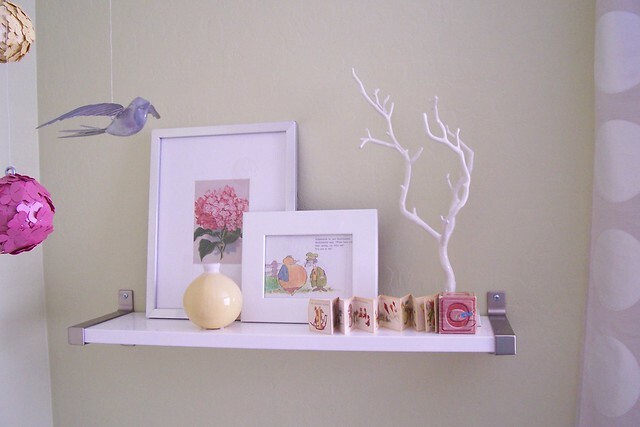 Your blog is awesome,the ideas are so fresh.I love your baby's nursery.Lucky girl. I have a small teey tiny business,i make decorative pillows at the lowest prices on the internet. These are all hand crafted.Pls visit us at www.shopahop.com to buy ur trendy moroccan,greek key,trellis lattice pillows at a price that wont break your budget. This is so lovely!!! So well put together, love it!!! What a lovely room! It looks so high-end and modern, I was shocked to see that things were from Walmart, Target, and Ikea. You put everything together so well. I actually was looking for a modern crib for my baby girl, whose name is also Ivy! I just happened upon your blog and found it to be a fun coincidence that your little one shares the name. I really love your style! 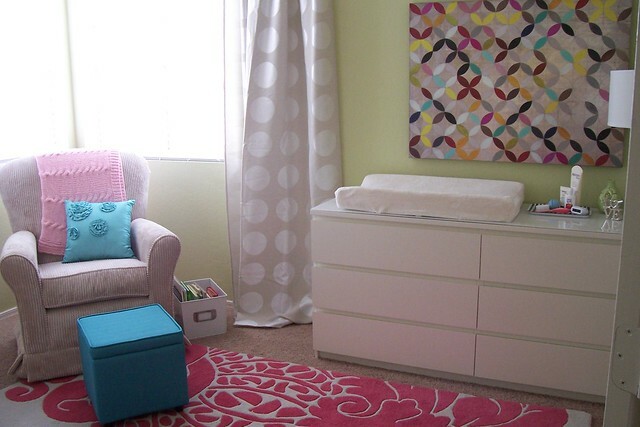 I really like this baby room. It is so simple and sweet!